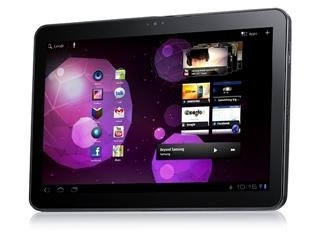 An xda user has released a ROM that gives you latest ICS ROM on the Samsung Galaxy Tab 10.1. This ROM is the latest, last and official ROM available from Samsung which means everything on it is working like a charm. Nothing is broken – something you may run into while running a custom ROM. 3) FLASH ROM using odin. If your device is not recognized, you might need the USB driver – downloadable from here. If any of the archives asks for the password, enter “samfirmware.com” without the “”. Of course, all the credit goes to pershoot.